before rinsing. No heat necessary. 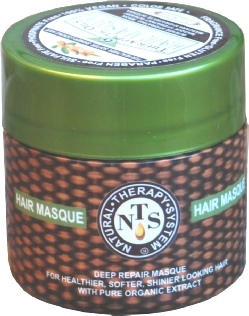 6-Therapeutic-Hair-Masque is an intense treatment. NTS Hair Masque 2 oz.